To place an order, insert the wanted quantity and click on the shopping cart icon or on BUY. Then you will visualize the products included in your shopping cart. 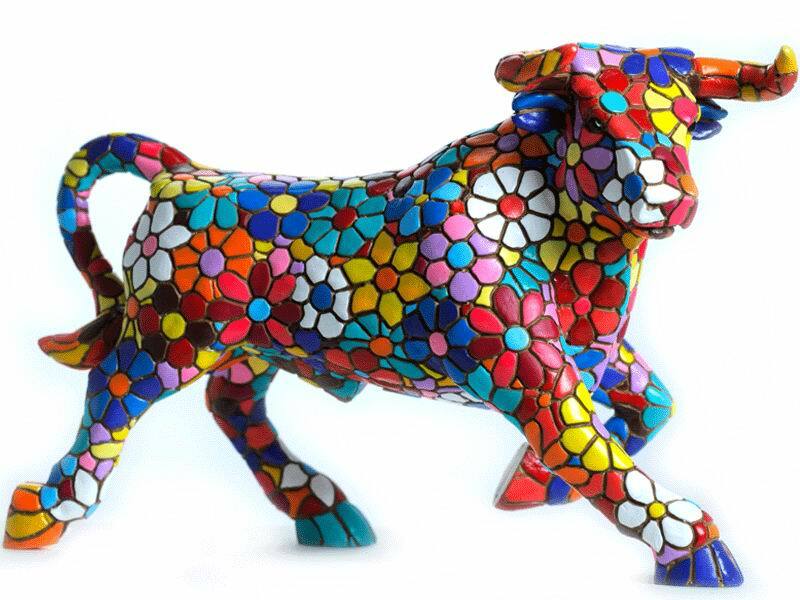 The flowers mosaic bull is a decorative figure of a bull which seems to be in motion. This bull is pure Spanish craftsmanship, is made by artesans who perform the figures with Trencadis technique, the technique that made Gaudí famous (hand-painted mosaic pieces). It is a very original as it is decorated with flowers.